Originally from Lancashire, this is not the first time I have lived in France. I originally came here around 35 years ago but lived down in the Languedoc Roussillon area. After 10 years of French life and learning the language fluently, I went back to the UK, knowing that one day I would be back, at the time thinking it would be to retire. However, things often have a way of being unexpected, and 18 months ago, my husband suggested we rent somewhere in France for 3 months, whilst we looked for a house to move here permanently straight away. We visited the area of La Creuse 2 years ago on holiday and loved it immediately. In some ways it reminded us so much of where we lived in the rural area of Lancashire but it was able to offer us so much more. We found a lovely house on the edge of a quaint French village and moved here permanently in September 2013. After spending the first 6 months, making the house a home, it was time for me to find a new challenge and through a mutual friend, met the team at Leggett Immobilier, and knew this was the challenge for me. I love my life here and would love to help you make the move, to do the same. Located at the end of a private lane with no neighbours, not over-looked and beautiful . . .
A rare opportunity to own a fantastic mill complex, including 3 large houses, a beautiful . . . This stunning stone property, in a perfect location, has 5 bedrooms, large living spaces, beautiful gardens and large swimming pool, a paddock and stables, & barn. Beautiful, large, 2-bed Bungalow over-looking its own private lake with tourist fishing rights in place and park (suitable for camping) in an exceptional, stunningly beautiful and secluded location. 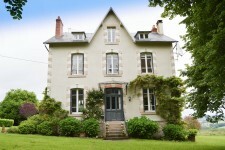 A very rare property, situated close to the village of Châtelus Malvaleix, steeped in . . . 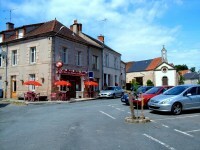 Within walking distance of a village with a couple of bars and shop, and a bicycle ride into . . .
Immaculately renovated farmhouse & barn, with large living areas, Including 4 bedrooms, 3 bathrooms, 6 acres of beautiful pasture land & stables. Located in a small hamlet with a couple of other properties, just 5 mins (2kms) to the . . . This is a very attractive property, situated around the centre of a small hamlet. There is . . .
Amazing and beautiful, renovated, farm and barn conversion, with exceptional garden and location. 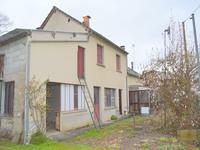 Could be divided into 2 units, house and gite. Enough land for "Camping à la ferme"
Lovely, hamlet property, with amazing gardens playing a part in the open-garden scheme of France. Situated on the edge of a small hamlet, in the heart of the countryside, with open views, . . .
A large, totally renovated property, in a quiet hamlet setting, with good sized garden and woodland. This lovely, open plan property, is located in a pretty hamlet, half way between the villages . . . This is a totally renovated property in the French style, with the nearest neighbour at 200 . . .
Country lanes in the heart of the stunning Creuse Countryside take you through small pretty . . .
Farmhouse with barns, outbuildings, stables, farm buildings, attached land, mains drainage, Walking distance to village, No neighbours. This farmhouse requires modernisation but is habitable. There is new double glazing, working . . .
At the end of a country lane, in a hamlet of half a dozen houses, with open aspect to the . . .
Close to the historical centre of town, close to all amenities and historic buildings, this . . . 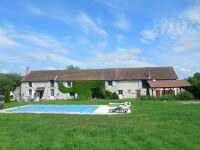 Extremely pretty, with amazing views, large rural property, mostly renovated, with 2nd house to renovate, large barn. 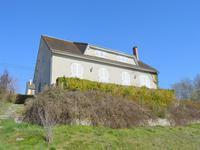 An elevated position, above the hamlet gives this large, pretty property amazing views of the . 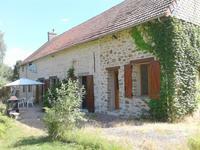 . .
Stone Farmhouse in private setting, totally habitable, Barns & Stables, 3 acres of good pasture land, small Gîte to modernise. Elevated above the hamlet, giving good views, this large stone property is only a short . . . Impressive, substantial village house, with 6 bedrooms, 3 bathrooms, perfect family home or B&B, Mains drains. 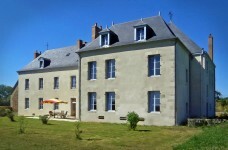 Situated in the centre of the very pretty village of Bonnat, with all amenities at walking . . . This secluded, detached, renovated barn and farmhouse is set in its own land, with woodland . . . Totally secluded and private, with a stunning location, this mostly converted Mill House has 5 bedrooms and over 4 acres of beautiful, almost flat land. 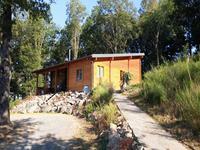 Situated along its own private track of 500 meters, hidden from view, with no neighbours for . . .
Beautiful, renovated, 5 bedroomed, stone property located in a quiet hamlet, with beautiful views, location, jacuzzi, pool & over an acre of land. Located in a quiet hamlet, but not overlooked, this beautiful, stone property has views from . 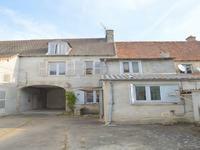 . .
A lovely renovated main house (3 beds +), with large barn, 2nd house mostly renovated (4 beds +), in a quiet hamlet, with large garden attached. Just a short drive from the village of Domeyrot, with it's historic, medieval church and . . .
Large village house, on mains drainage, with 4 bedrooms. Small house to convert, outbuildings, lovely garden to rear with views, raised terrace. 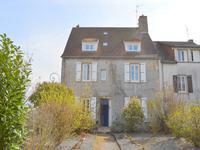 A totally habitable house, set in a pretty village, with excellent access to the very . . . Extremely pretty, renovated, and with amazing views, 3 bed, stone, rural house. Barn for conversion. Conforming septic tank. 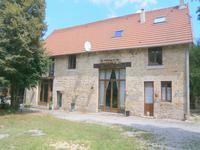 Within easy access to the historic village of Clugnat, with a bakers and grocery store and . . . 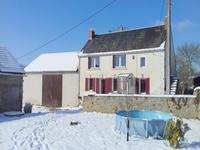 Beautifully presented, 3-bed home, plus 1-bed gîte, in lovely country setting. Not overlooked, large pretty gardens, land, hamlet location. Within easy access of the village of Cheniers, with convenience store and bar/restaurant, or . . . Very pretty, 4-bed stone, hamlet house, with large spacious rooms, open-plan lounge/diner, garden to rear. 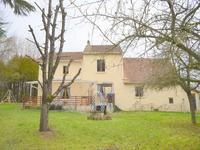 Located in a very small, quiet hamlet in the heart of the countryside, this pretty, renovated . . . Extremely pretty, well presented, hamlet property, quiet setting, 3 bed and country views. 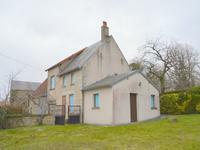 A very pretty village house, in a quiet location with mains drainage and totally habitable, but requiring updating, with a large garden and barn which could be converted into a gîte. Located in a pretty village with lovely countryside all around, this stone house is all on . 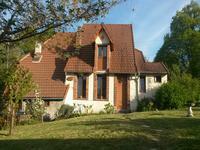 . .
Large, stone property in Pretty Village with 3 bedrooms, large veranda and open views to rear. This large 3-bedroom property, lies just off centre of the dynamic, historical village of . 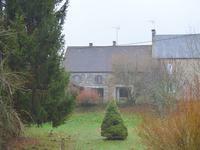 . .
Lovely quiet setting for this stone farmhouse for modernisation. Nearly 4 acres of pasture land, large barn, hangar and stables. In a quiet hamlet, not far from the pretty, historic village of Châtelus Malvaleix, with . . . 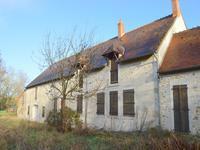 Very attractive property to renovate with attached barns also to renovate, in beautiful setting, gardens, orchard. 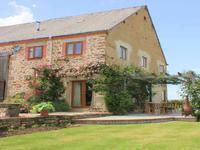 This lovely property, surrounded by gardens and fruit trees, with open views to both sides, . . . Within walking distance of a very pretty village with medieval church, village square, lake . 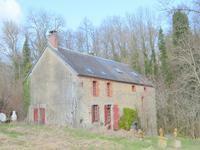 . .
Large, stone, hamlet property for modernisation, lovely setting, stunning views, private garden, garage. 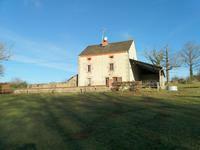 Situated in a small, well maintained hamlet, in the heart of the beautiful Creuse . . . This lovely stone property lies walking distance from the very pretty, historic town of . . . Spacious village property, with 5 bedrooms, mains drainage, large barn, outbuildings, garden and courtyard. The very beautiful historic village of Châtelus Malvaleix, seeped in battles, castles and . 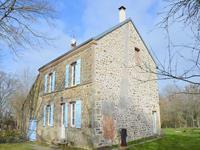 . .
A charming, 3 Bedroom, stone property, mostly renovated, hamlet setting surrounded by amazing countryside, mains drainage. Located in a quiet hamlet, yet with mains drainage, this pretty, stone cottage has been . . . 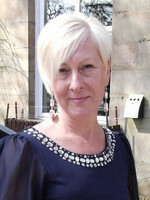 Pretty, animated village property, with 2 bedrooms, courtyard garden, mains drainage, walking distance to swimming lake. 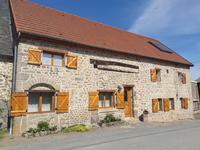 This quaint stone property, is situated within the historic, medieval village of Chatelus . 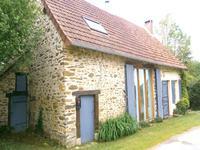 . .
Lovely, 2-bed, country cottage, located in a quiet hamlet, with pretty garden and mostly renovated. This charming stone country house, is set back from the hamlet lane, and is located in the . . .
A bar, café with owners accommodation, town location on mains drainage. This typical property, previously run as a bar cafe is set on a pretty village square with . . .
A lovely, quaint cottage property, dating from 1830, set in a lovely, historic village, large garden and mains drainage. This would make a perfect property to be used as a holiday home or first-time home. Walking . . .
A charmingly renovated, 2 bedroom cottage, with double-glazing, central heating and set in a quiet location at the end of a hamlet. 2 garden plots. This pretty bungalow, which has been lovingly renovated to include double glazing and central . . .
Nestled in a very picturesque, sleepy, stone hamlet, with the most beautiful countryside all . . .